Who knew the salmon pink birds that stand on one leg could be so versatile? 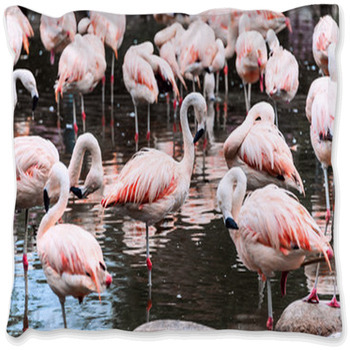 Flamingo bedding will demand your attention and force you to fall in love with their bright colors and adorable images. 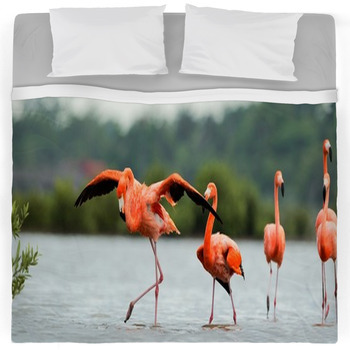 Using these birds on your bed might not seem typical, but why adhere to the ordinary? 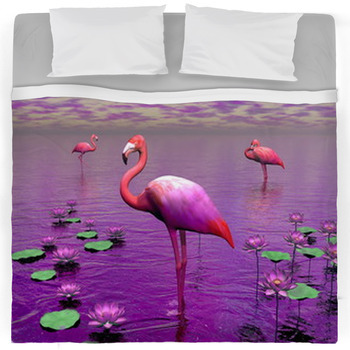 Make your bedroom stand out and have a little fun with all the possibilities of these designs. 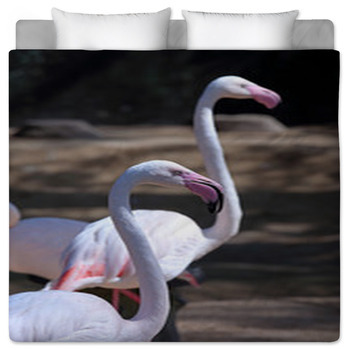 If you are looking for a romantic theme for a couple's bedroom, look no further. 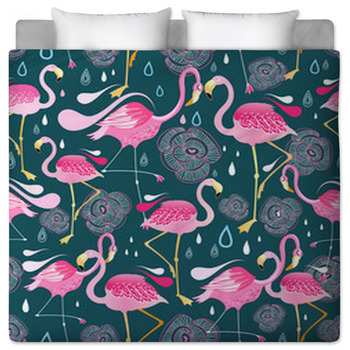 There is flamingo bedding that will do the trick and, best of all, no one else you know will have it! These birds look so cute when they stand facing one another, beak-to-beak. The shapes of their necks come together to form a heart, and appropriately enough, they are already pink! 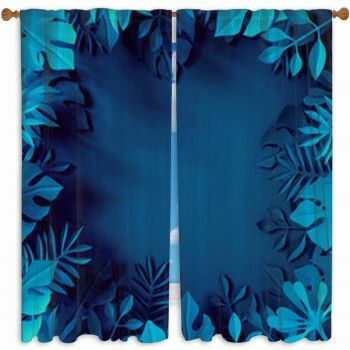 Offset by a blue background, this design is, unbelievably, quite chic. 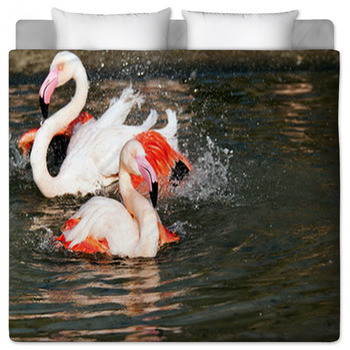 Flamingo bedding is also a great idea for a little nontraditional wintertime fun. Cartoon versions of these pink pets love to sport Santa hats, rock red-and-white striped socks, and carry around candy canes. Though you might not expect to see the tropical birds at the North Pole, they look so cute hanging out in their holiday garb that it's time to tell those tuxedo-wearing penguins to make way. 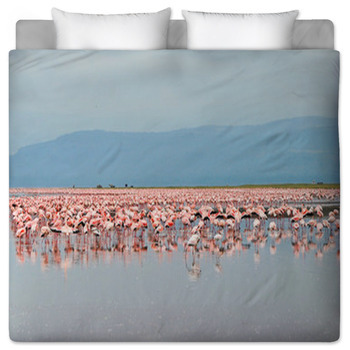 Bedspreads and comforters featuring flamingos can be surprisingly sophisticated and chic. Depictions of them in a soft-pink habitat surrounded by flowers and standing in a lake actually make for some great scenery. All things considered, the birds offer any room a great color palette, if nothing else. 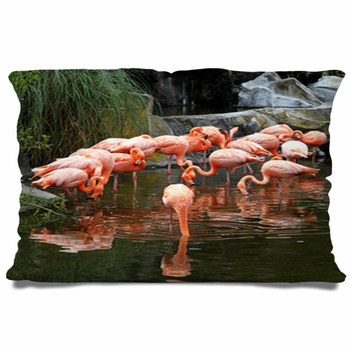 The pink makes for a great, bold statement in a room that needs a little extra something. 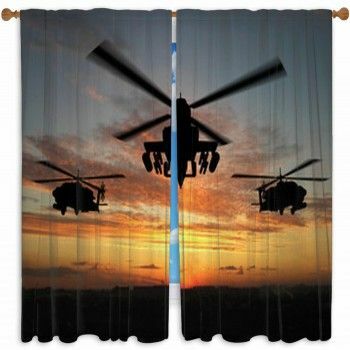 Add some window curtains that will give more nature effect to your room. Young adults are often most concerned with standing out among the rest. 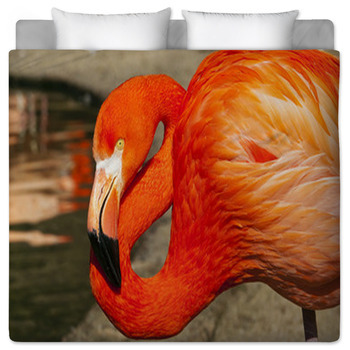 How about using this to personalize the bedroom of a child or teen? 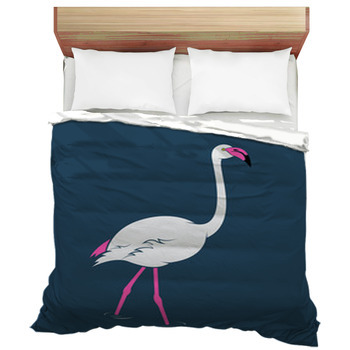 As if the theme of the bird itself is not unique enough, it is a great idea to add a little personalization to the bedspread. Incorporate the owner's name or a fun message onto the linens to make the decorations even more unique! 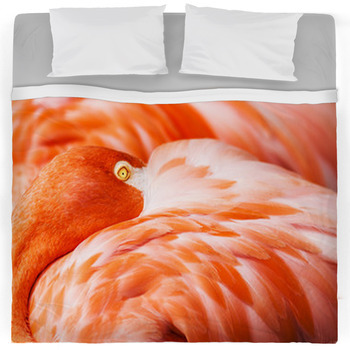 When decorating a room, no matter what the theme, incorporating some coastal flamingo bedding might not be the first thing that comes to mind. However, when you think about it, these designs have a lot to bring to the table. They are fun and colorful, unique, and can even be personalized! With this theme, it is fun to decorate the bedrooms of children, teenagers, and even Mom and Dad.